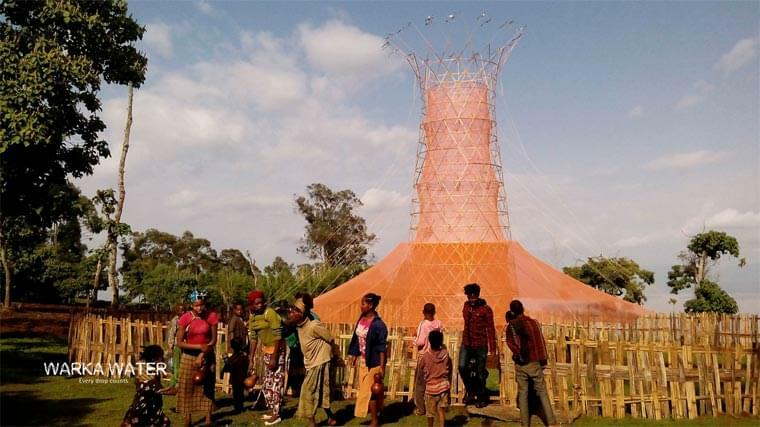 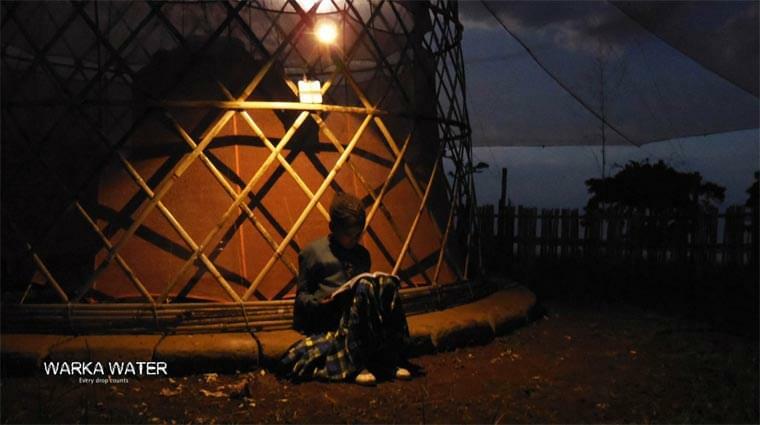 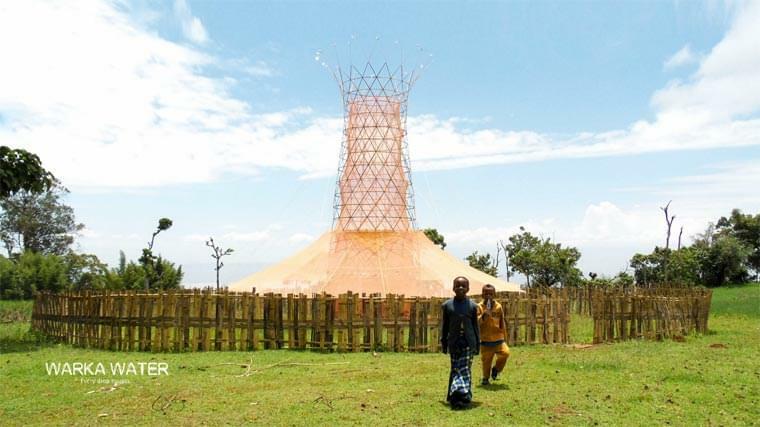 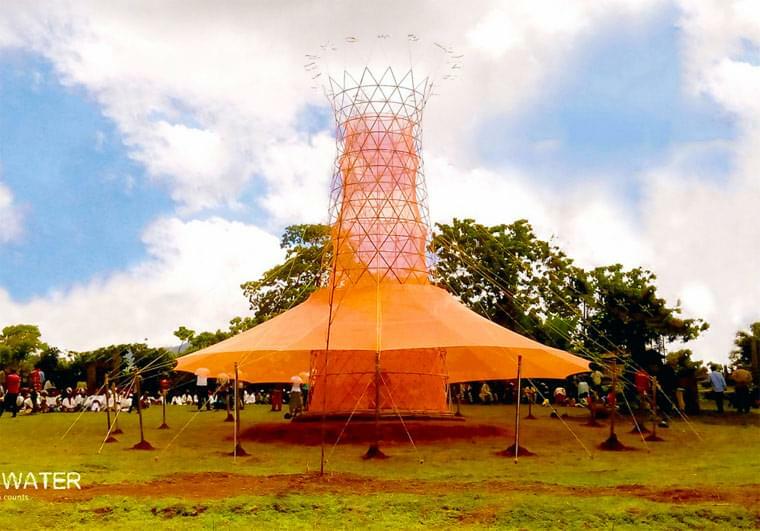 The Warka Water Tower is a simple but innovative structure designed specifically for harvesting water from the air! 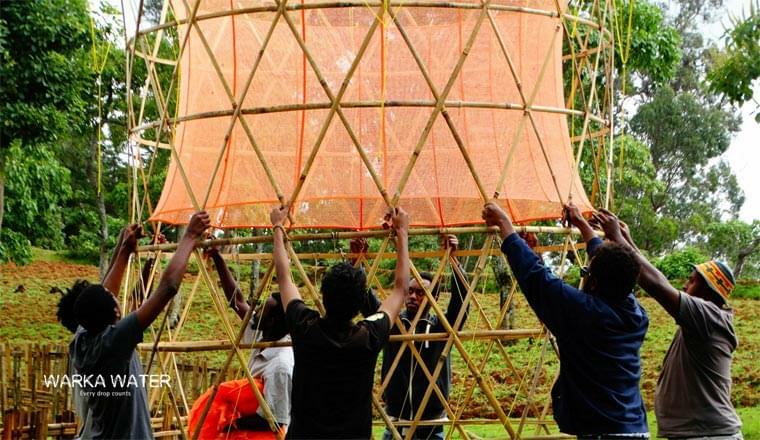 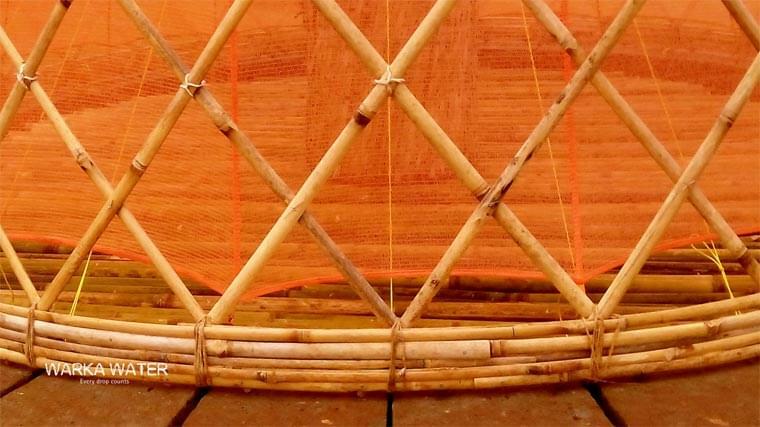 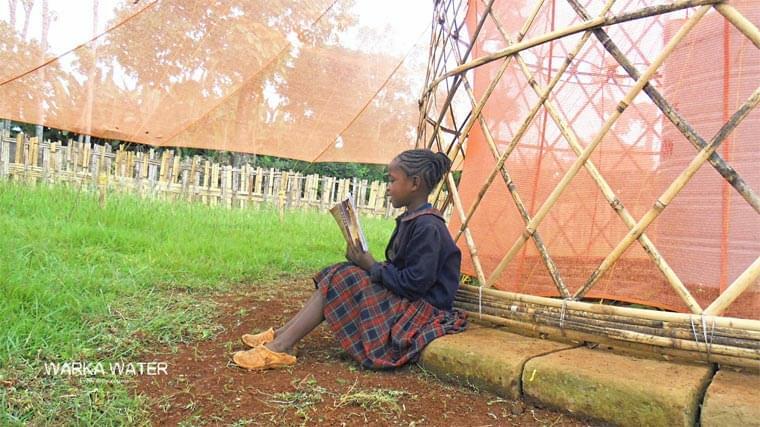 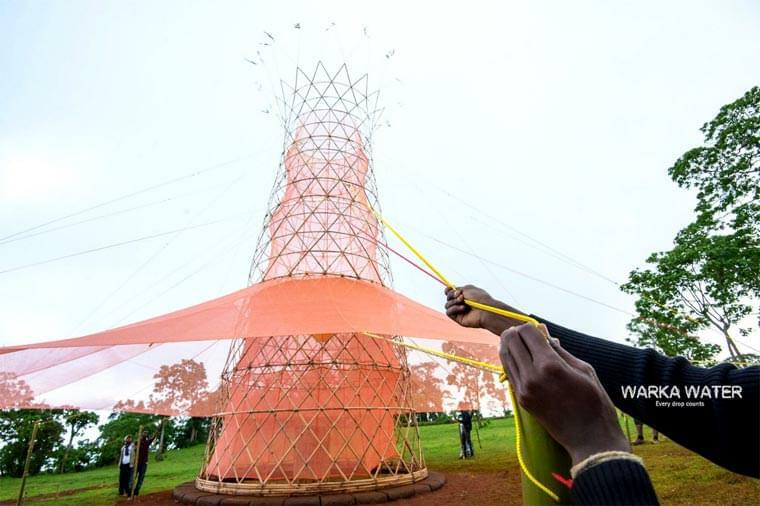 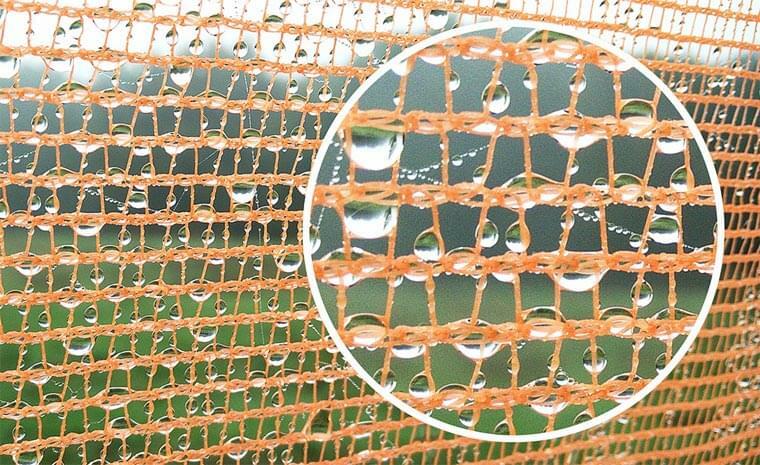 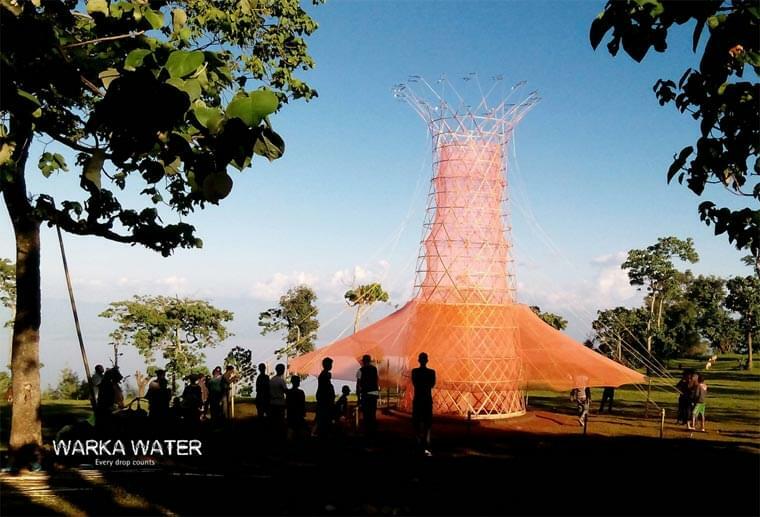 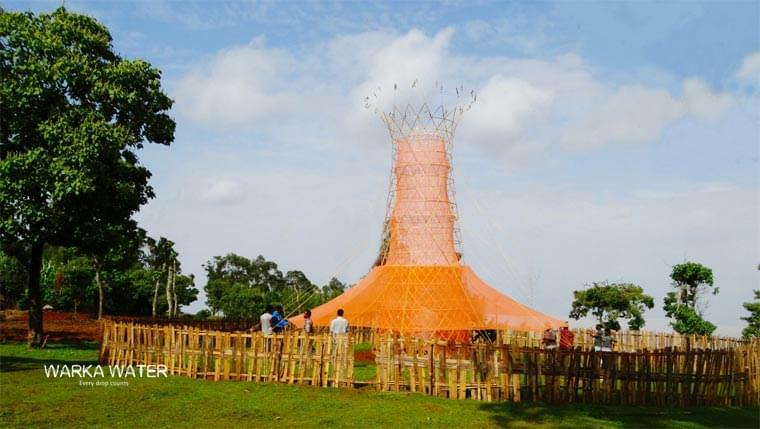 By combining a bamboo structure and a recyclable and biodegradable mesh, the system of the Warka Water Tower is able to collect up to 100 liters of drinking water per day! 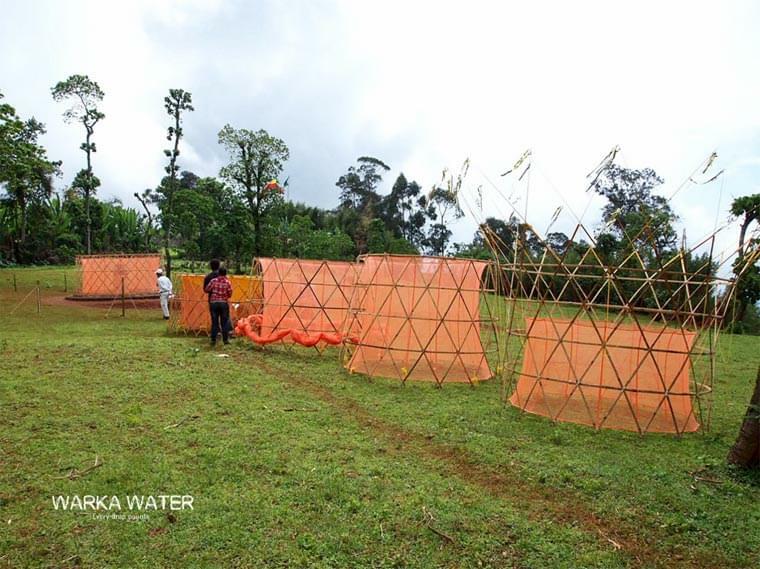 This water trap weighs only 90 kg and can be assembled by six people in just four days. 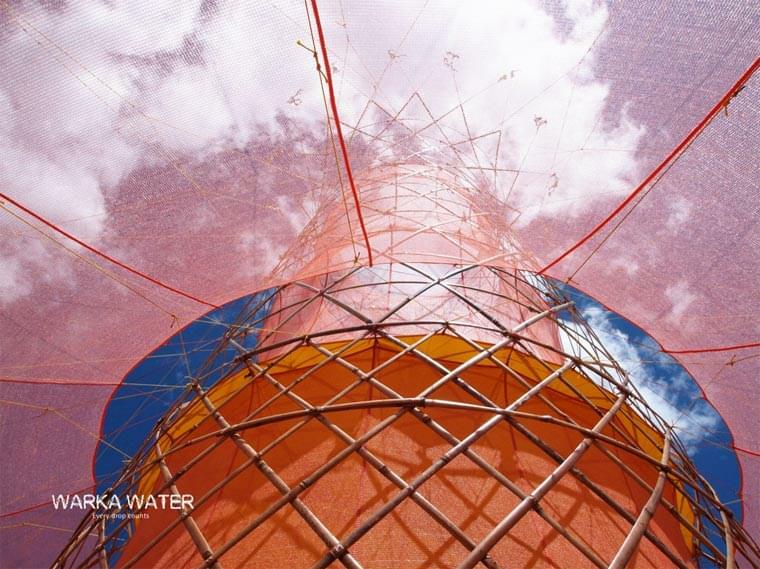 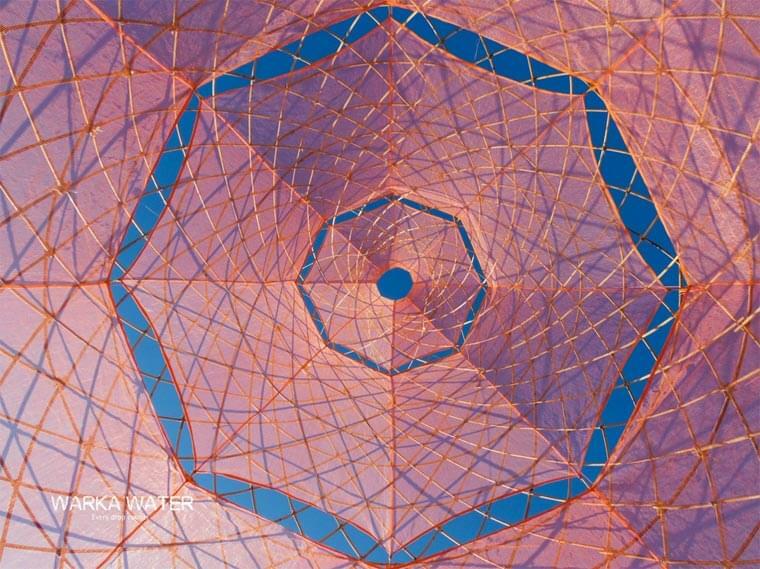 The Warka Water is a brilliant experimental project created by designer Arturo Vittori and the studio Architecture and Vision, to offer an alternative water source for rural communities facing challenges in accessing drinkable water. 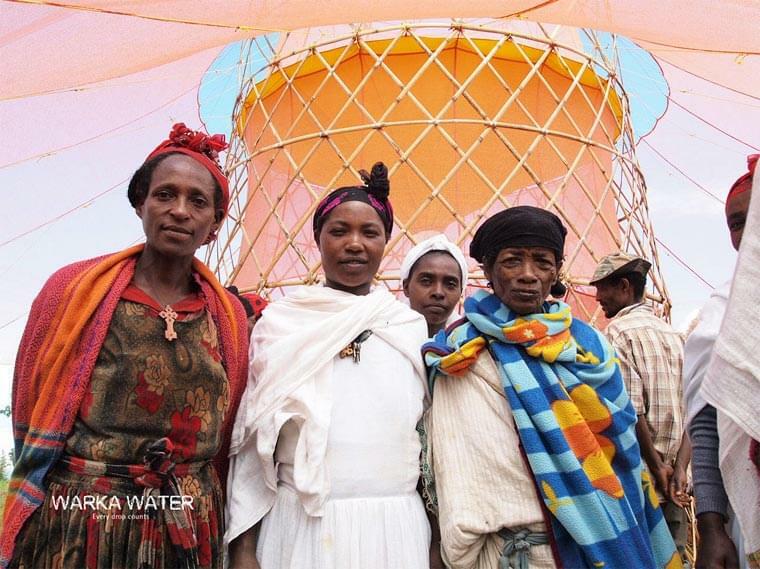 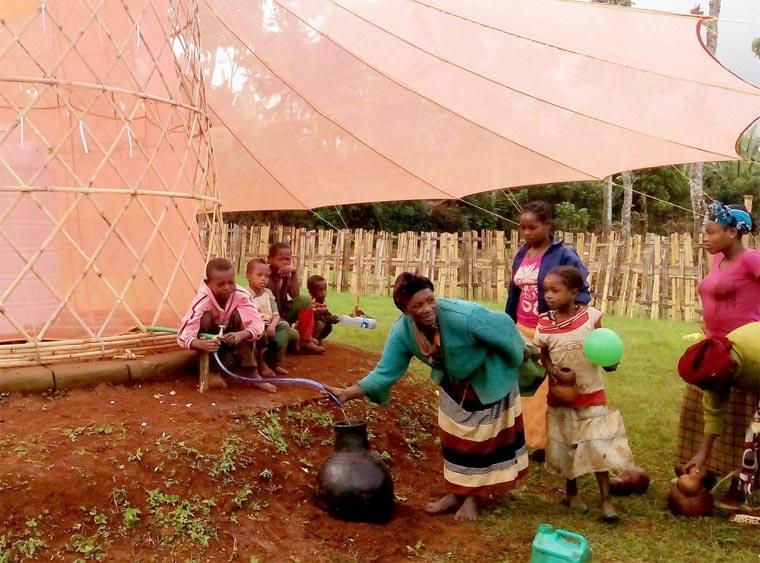 After a successful Kickstarter campaign in 2015, a first Warka Water Tower was installed in Ethiopia, bringing drinking water, shade, social gathering space and a water efficient garden. 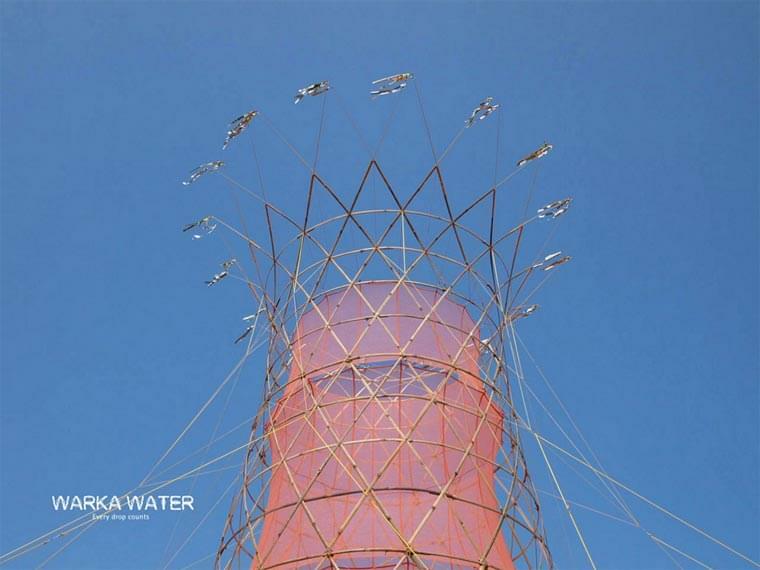 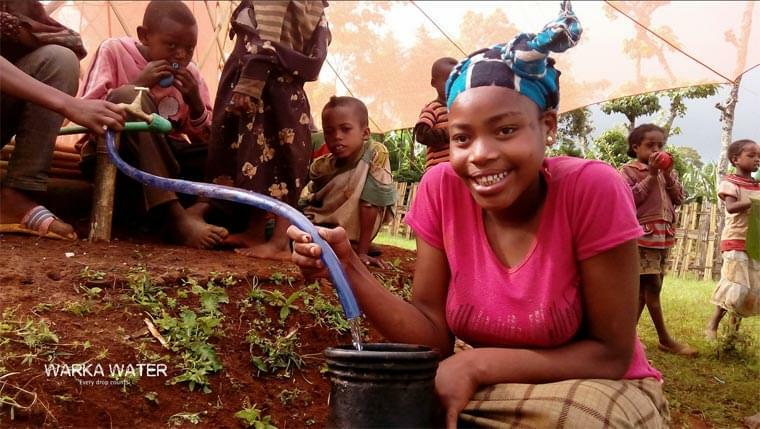 You can support the project directly on the Warka Water project website.